Coming to you from the ReachMD studios in Fort Washington, Pennsylvania, I’m Dr. Matt Birnholz. On this episode, we spoke with Dr. Robin Dore, Clinical Professor of Medicine at UCLA’s David Geffen School of Medicine. 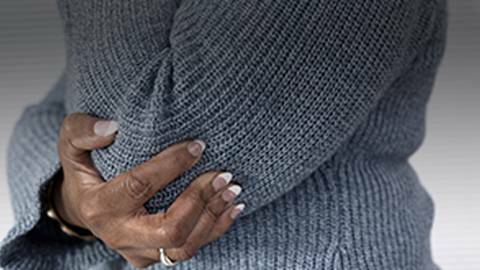 Dr. Dore shares the story of one of her psoriatic arthritis patients, which has stood out over the course of her career. Here’s what she shared with us from her office in Los Angeles, California. I had a patient come in for the first time, and her whole body was covered by psoriasis—her scalp, her trunk, her extremities—and never seen a rheumatologist or a dermatologist before. And so I asked her why at age 49 with such extensive psoriasis that she had come to see a rheumatologist, and she said not only was her joint pain very severe in her right hip and her left elbow, but that she lived with her adult children and they were going to kick her out of the house because they were so sick and tired of sweeping up her scales from the floor whenever she left the room. She couldn’t afford to live on her own, so this really brought her into the office. She was very willing to start any therapy because she wanted to be able to stay living with her adult children. She started on therapy, came back 6 weeks later, and she had a significant improvement in her psoriasis, but at 6 weeks it certainly wasn’t totally gone. Her joint pain in the elbow was better. The hip pain was still quite severe. I saw her back again 6 weeks later. I was seeing her this closely because I wanted to make certain the medications that I had started her on, that she was going to have a response, because she was so desperate about her living situation, and at the time of the second 6-week visit, her skin was significantly better, and now all of her joint pain was gone except for the right hip pain. We got an x-ray, and she, in fact, had bone on bone on her hip x-ray, so she actually needed to have a hip replacement performed, but that just shows you that how severe her arthritis was. The elbow involvement was an enthesitis that got better with the treatment. She was able to use the arm without any problem, but she ended up needing the hip replacement, and that was really why the medication didn’t help that hip joint because the damage was so severe. So at this point she has had the hip replacement, her psoriasis is under control, she’s not had that scaling and itching; so I think it really turned out to be a very happy story. This woman had psoriasis since she was 9 years old, never started any treatment until she was 49, so that it just shows you what some patients will do anything just to try to take care of things on their own, but now we certainly have treatments that are effective. That was Dr. Robin Dore sharing the unique case history of a patient with psoriatic arthritis. For ReachMD, I’m Dr. Matt Birnholz, inviting you to be part of the knowledge. The preceding program was sponsored by Lilly. Content for this series is produced and controlled by ReachMD. 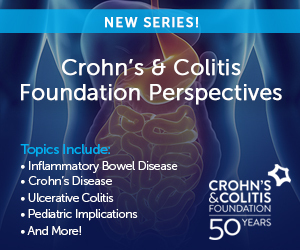 This series is intended for healthcare professionals only. To revisit any part of this discussion and to access other episodes in this series, visit ReachMD.com/beyondskindeep. Thank you for listening. This is ReachMD. Be Part of the Knowledge. Some patients will do anything to try and treat PsA on their own. Until, of course, they realize just how effective treatments are. Like any other condition, early detection is critical in psoriatic arthritis, but as Dr. Robin Dore proved in this unique patient case of a woman who dealt with PsA for 40 years, it’s never too late to start therapy and improve a patient’s quality of life.